Is it food? Or does it resemble cardboard doused with bug killer? 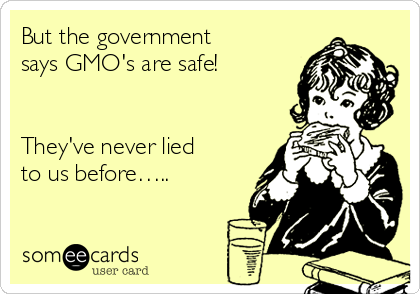 It’s hard to know these days, because currently food is not labeled with GMO ingredients or pesticide content. Not everybody eats this kind of food, but it is commonly available in most supermarkets in the US and increasingly, around the world. It looks like food, tastes like food, smells like food, but is not food. Pause for a moment. 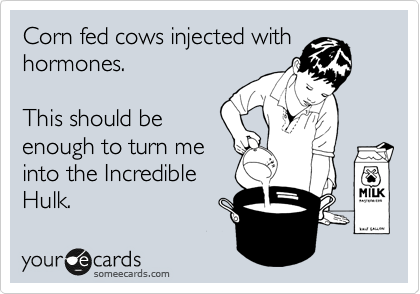 That is a disturbing thought especially to anyone with young children. In late March, Andrew came to Maui to give a talk at Hana Ranch Provisions in Paia about food issues in Hawaii and the US. Hana Ranch provided coffee and healthy refreshments to attendees. Wild food expert Sunny Savage and another friend organized this event. I wasn’t familiar with the Center for Food Safety, except their name sounded like a research lab or a government subsidiary, like the EPA or the FDA, agencies which are not always the “good guys.” I wasn’t sure if they would be preaching to the choir, offering any new ideas, or worth my time. Honestly, I get a bit overwhelmed from the many causes on Maui: from feral cats and crazy “no dancing” laws to water rights for taro farmers. They are all important and yet… one only has so much time. It was a great talk, and actually pretty funny. Andrew Kimbrell, the main speaker, could develop a comedy routine on the side. As the national director of the Center for Food Safety (CFS), he gives quite a few talks around the country and is involved very actively with Hawaii’s particular food issues. Ashley Lukens of the Hawaii Center for Food Safety also spoke passionately and eloquently. The issues in Hawaii are a springboard to the national level, so what affects one state is affecting the rest of the country. Emails actually make a difference to politicians. They can tip the scales, causing a bill to fail or be passed. Sometimes I get a lot of email with a call to action: to sign this petition or that, to call a particular senator or county council member, to donate money. Often the emails are last minute, and there isn’t much time to act, because the hearing for the bill has just been announced. This usually makes me a bit crazy. Now I know that sending a particular email or signing an online petition can actually make a difference. Andrew discussed a recent bill in Congress, “The Dark Act,” that was thankfully defeated in February 2016. It sounds like a law designed by Darth Vader to silence the galaxy and was just as ominous. Supported by food manufacturers, this bill maintained it was their constitutional right of “free speech” to remain silent about whether food has GMO ingredients. This law would rescind local or state laws requiring GMO labeling. It was a very close battle, along the lines of David and Goliath. 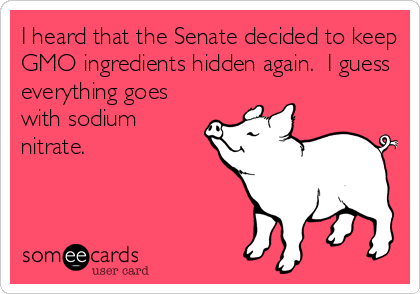 Based on partisan lines, there were 54 Republicans in the Senate, plus 3 Democrats, who supported the Dark Act. One of the Democrats was Amy Klobuchar Of Minnesota, who has a reputation for taking money from Monsanto. Kimbrell said he walked into one senator’s office and the staff said they received 12,000 emails that day. 12,000 people who wanted this senator to oppose The Dark Act. The bill was defeated by ONLY one vote. Based on partisan lines plus the support of those 3 Democrats, the bill should have passed with 57 votes. All those emails and phone calls to senators made them take notice. As a result, Vermont’s GMO labeling law will go into effect July 1st without being struck down by a national law. 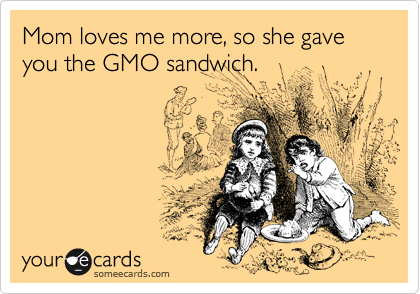 Moreover, the food manufacturers who fought so hard to oppose the bill, are now going to label GMO nationwide. It’s too much work and too costly to label on a state or county basis, so they are going to label in all states. Kellogg’s will label GMO foods. Conagra Foods will label GMO foods. Mars will label GMO foods. General Mills will label GMO foods. These companies spent millions of dollars to fight the labeling of GMO foods. And they lost. They lost because enough people spoke out, emailed, and contacted their senators. So your email makes a difference and your voice makes a difference. Even online petitions make a difference. Takeaway #2: BUT, Victories are not always permanent. Once has to keep slaying the dragon. Over and over. The Dark Act mentioned above has reared its head yet again! Just this month, there is another effort by the chemical companies to subvert GMO labeling into QRC codes which would require using a smart phone to determine if a food is GMO or not. Senator Debbie Stabenow of Michigan, who gets lots of money from the chemical companies, is spearheading this new bill. If this bill offends you, and it should, please read about the Dark Act Spring 2016 version and take action to oppose it. The link will take you to a sidebar on the right side, you can fill out the form and they will automatically send it to your senator(s). 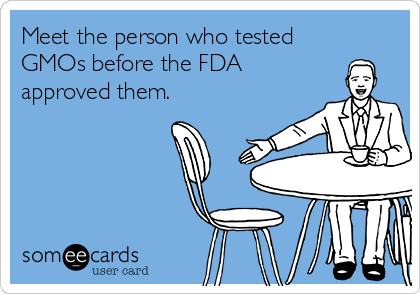 Here is a short, less than one minute video of the Dark Act QRC code proposal. Takeaway #3: The tide has turned concerning GMO foods. The labeling of GMO foods is a major change in the marketplace. As consumers, we’ll be able to more easily choose with our food dollars. Food manufacturers will increasingly turn to non GMO food ingredients because of consumer demand. The GMO industry will eventually crumble. But we still have to stay vigilant and contact our elected leaders with our opinions. Hawaii has long been the epicenter of GMO research with year round growing conditions suitable for seed corn. Monsanto is now looking at buying or leasing land in the Philippines and Puerto Rico instead. Whatever the impact to the Philippines and Puerto Rico, this move implies that the political climate in the US and Hawaii has become unfavorable to GMO field testing in the US. 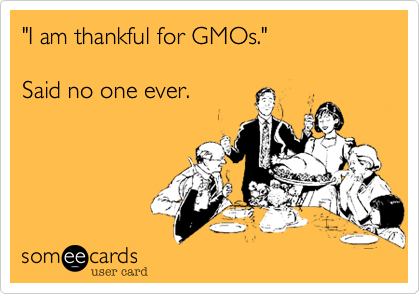 Takeaway #4: GMO food is only the tip of the iceberg. GMO food not only has GMO ingredients, but is also grown with herbicides and pesticides. Pesticide, chemicals, poison. Does Agent Orange ring a bell? These are poisons for the human body. 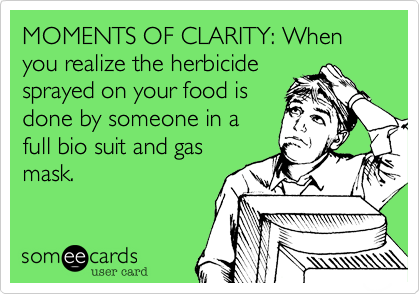 When I think of pesticides and herbicides, the C word inevitably comes to mind… cancer. The disease that may be killing someone you know. 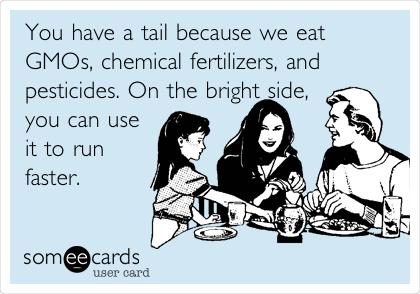 Pesticides and herbicides are bedfellows with GMO food. But even if all GMO foods disappeared, there is still the issue of pesticide use. For example, peaches are on the list of the “Dirty Dozen.” Peaches are notorious for being sprayed with pesticides. A typical conventional (non organic) peach has the residue of at least 56 pesticides. Besides pesticides and herbicides like atrazine, an endocrine disrupter, there would still be monocrop agriculture of soy and corn, which is resource intensive and unsustainable in the long run. The ideal is to measure agriculture by nutritional value, not the commodity value. Even if all GMO foods disappeared, according to Kimbrell, Monsanto still owns 25% of the world’s seeds. Chemical companies like Dupont, Syngenta, and Monsanto own 63% of the world’s seeds. Control of seeds and seed technology are becoming a new battlefield. Takeaway #5: County and state governments may do more to protect our health than the federal government. According to Ashley Lukens, our county government is very accessible. County zoning affects local pesticide use and local land use. Across the country, county governments are making laws about fracking, GMO labeling and pesticide use, all things which have an immediate and local impact on our health and well-being. Chemical companies want to strip county and local power to the federal level, which is the most removed from people. If pesticide use is legislated at a federal level, chemical companies have more influence. Or at the state level, the chemical lobby wants legislation that would strip counties of authority. At a county level, we can reshape county agriculture. At the state level, we still have easier accessibility to our elected officials than at the federal level. Currently, counties can enact almost any pesticide regulation they desire. Takeaway #6. Our local elections are just as important, if not more important than the presidential election. Really? More important than Donald, Hillary and Bernie? Given the power that county and state governments have to enact local ordinances, it’s not a surprise that corporations are pouring money into local elections this year. 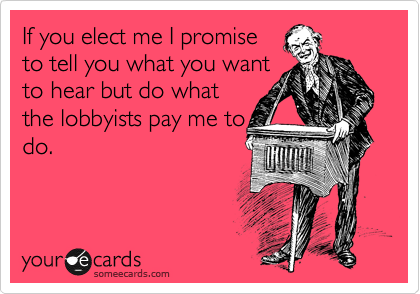 The idea is that money can change a Senate or House seat and fill it with someone who supports the chemical companies. According to CFS, Monsanto bought $1 million of air time this year and spent more on lobbying in Hawaii than anyone else. Ashley notes that 40 of their lobbyists were in the House this past legislative session. At any given hearing she attended with just one or two community members, they were far outnumbered by Monsanto lobbyists. How to find candidates who are not backed by chemical companies? Hawaii Alliance for Progressive Action (HAPA) provides leadership and training to political candidates that meet their criteria. The Center For Food Safety – national and statewide – provides lists of candidates they endorse. Other environmental organizations provide endorsements. Takeaway #7. Hawaii’s GMO and pesticide regulation cases in June will have national implications. If the outcome is positive, they will set precedents for other local governments concerning GMOs and pesticide use. A negative outcome could set a precedent for the “implied right of preemption,” meaning that even if there is no actual state or federal law overriding a county law, there is an “implied” state or federal law. Three major cases in Hawaii will be heard in June on Oahu in the Ninth Circuit Court by a panel of three judges. Currently the dates are June 13-15, 2016 and the panel will not be announced until a week prior. The order of the cases will not be known. They may be heard individually or all three cases may be heard and decided together. The Ninth Circuit Court of Appeals has jurisdiction over several West Coast states and its ruling will especially affect cases in those states. The date for the hearing is now June 15, 2016 for all three cases. 1 – Kauai Pesticide and GMO Act. The island of Kauai wants the right to know if pesticides are being sprayed around schools, and wants a no spray buffer zone around schools. Chemical companies want to be able to spray and say they have a right to spray. 2 – Big Island Ban on GMOs. The Big Island (County of Hawaii) passed an ordinance restricting GMO crops, except for select crops in select situations. 3 – Maui’s GMO Moratorium. The County of Maui has made no effort to defend this ordinance, which was passed as a citizen’s initiative on the ballot. This is why the County of Maui elections are so important this election season. Monsanto spent enormous quantities of money to persuade residents to vote against the moratorium, and they lost. CFS will represent the Big Island and Kauai and help with the Maui case. Arguments to uphold the Kauai case will focus on the right of preemption. This means attorneys defending the law will argue there is no state or federal law that overrides or “preempts” the jurisdiction of the county law while the other side’s attorneys will argue there is an “implied” right of preemption. The recent Shaka Movement event on Maui included a discussion of these three cases. More information on the legal aspects of the three cases can be heard here. What happens if either side wants to appeal? Per Kimbrell, if there is an appeal, it would be an “en banc appeal.” The losing side could go to every judge in the 9th circuit. 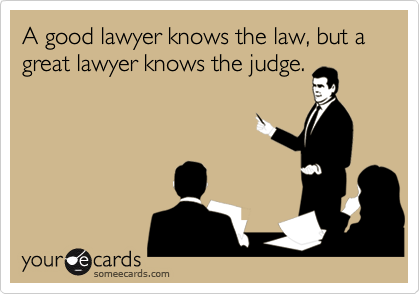 There is only about a 1% chance of appeal because it is a 3 judge panel and most judges do not want to override a panel. One possibility is an appeal to the US Supreme Court – unlikely since the court split is 4 -4 right now. According to Kimbrell, the US Supreme Court took a GMO case three years ago and will probably not take another one. Or an appeal could go to the Hawaii Supreme Court. Takeaway #8. Political change can happen rapidly if enough people make a commotion. Case in point: The commercial sale of paiai or hand pounded taro was in violation of food safety laws in Hawaii. Citizens were outraged. Native Hawaiians, supporters of local agriculture, and other residents contacted elected officials and within two years, the laws changed. This is very fast for the political process. Takeaway #9. GMO and pesticide exposure reporting in Hawaii by the mainstream media is often less than rigorous because the mainstream media may be compromised. I suppose this should not be a surprise. Their underwriters, sponsors or advertisers may be the chemical companies or their subsidiaries.Investigative journalists may be deterred from reporting due to pressure from these outside influences. Even PR firms in Honolulu – most, if not all, have been approached by, or are doing work for Monsanto and other chemical companies. Additionally, one tactic by journalists is to seek out the one person in a rally who may not totally understand the science of GMOs and pesticides, or is not able to articulate it well, and then quote from that person to show how “activists” are idiots. Takeaway #10. 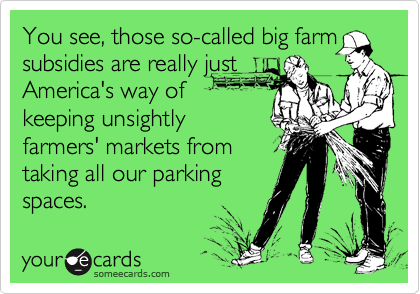 Hawaii needs to develop a new paradigm around agriculture. The current paradigm for Hawaii agriculture includes importing over 90% of the food here. The industrial agriculture paradigm is to grow monocrops in a resource intensive way. Hawaii could become a place that grows enough food to feed most of its own population. Bonus Takeaway. Hope for the future. The times, they are a-changing. 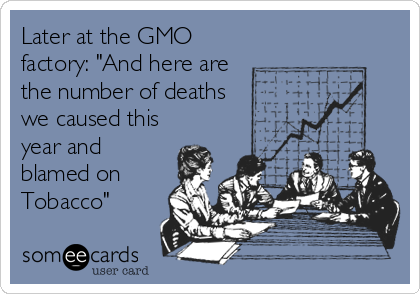 More people are aware of GMOs. 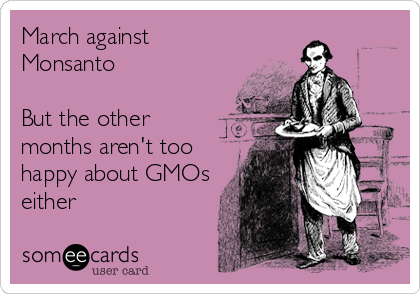 Monsanto has become a dirty word, even in the hallowed halls of Congress. Federal funding exists for organic agricultural research. The paradigm of industrial agriculture can change. The occupation of farmers in census data was completely removed as a category, but has made a comeback. More young people are becoming farmers, through programs like Hawaii’s Farm Apprentice Mentorship. Farms like Hoku Nui are exploring alternatives to conventional agriculture. A question and answer period followed the talk. Q. Why isn’t Round Up content listed in food? Can one legally post the pesticide content in food? Is it legal to test for roundup? Can one get the EPA report on pesticide? A. There was a lot of discussion. The EPA does report pesticide content here. https://www.epa.gov/safepestcontrol/food-and-pesticides. One person mentioned www.whatsonmyfood.org, a site that lists pesticide content on fruits and vegetables, but there is no standardized pesticide labeling for all food products. That would be the next frontier. Q. Why is the burden of non GMO labeling on companies which are not using GMO ingredients rather than those that are? Isn’t it like having non-criminals buy yearly “certified non-criminal” badges from the police department that they can put on their resumes and social media accounts, rather than placing the burden on the criminals? A. This was more of a rhetorical question and led to a discussion of the non GMO project label. The cost of the non GMO project verified label is $1500/year for one Maui food manufacturer, but can be more for other businesses. GMO and food safety issues can be intricate and complex. In doing research and trying to verify facts for this post, I came across a few websites and blogs that accused the Center for Food Safety of fanning the flames and agitating people with their “rhetoric.” If there wasn’t some truth to these issues, people wouldn’t be that upset. Who do you want to believe, CFS or the people who brought you Agent Orange and rGBH growth hormones? Disclosure: Other than coffee and an early lunch by Hana Ranch Provisions, I was not compensated for writing this post.